So those nice little pieces of "Pocketgear", like my Tailwak rod, they always travel with me. 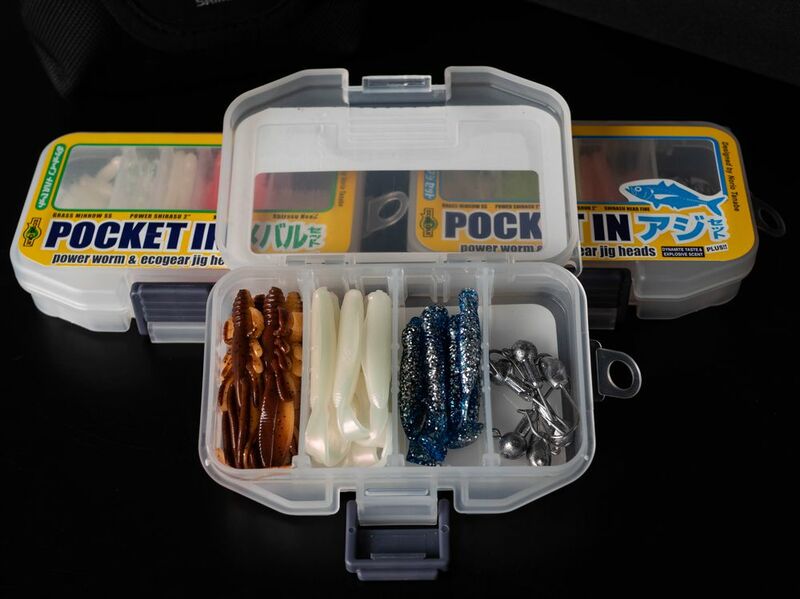 Another pocketsolution is the EcoGear "Pocket In" lure boxes. Pocket in Kasago - Kasago is a kind of Scorpionfish i think..
And Pocket In Aji - Which is a sort of mackerell. 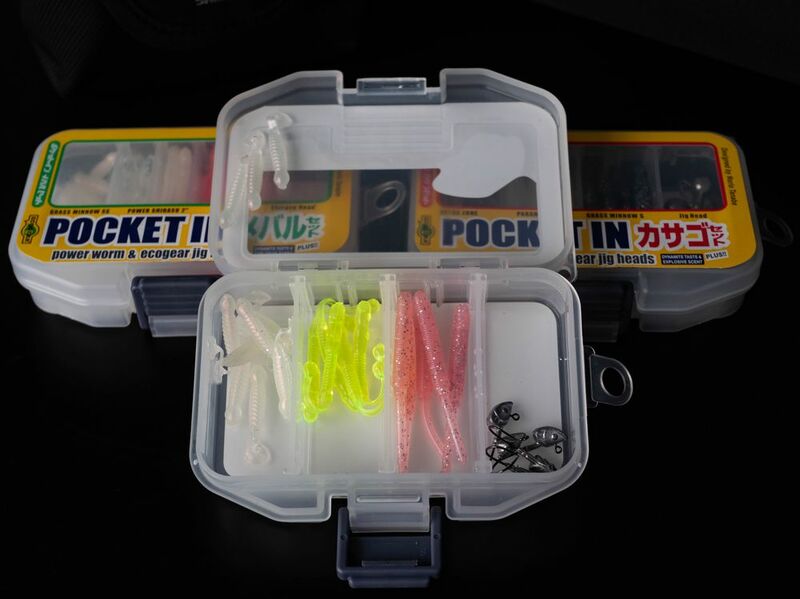 So three boxes with slightly different jigheads and softbaits made for differrent types of retrive and fishing method. 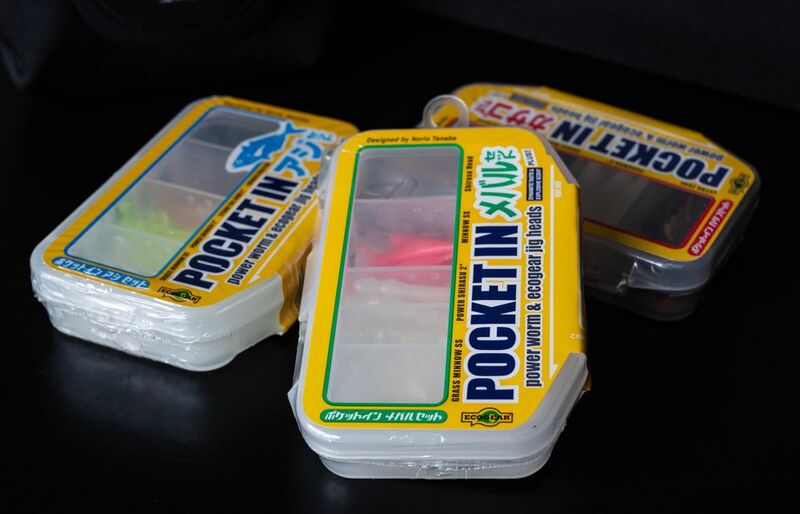 All stocked in small enough boxes to carry in your pocket. 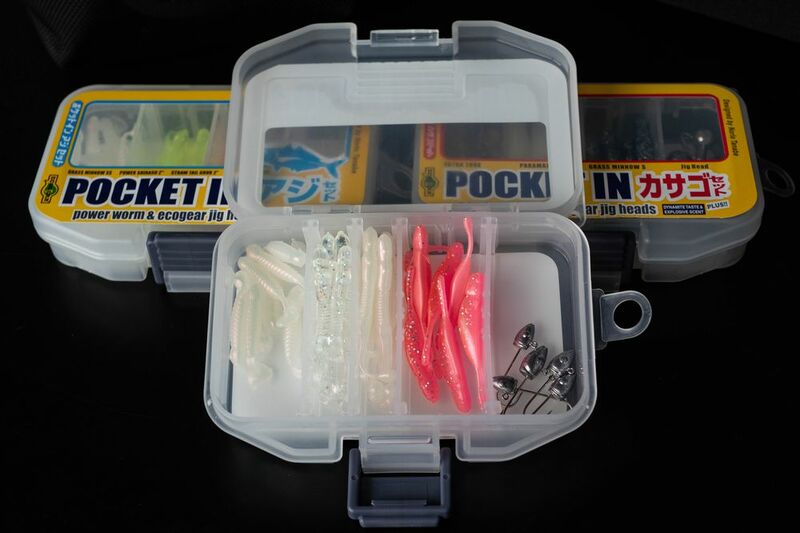 I dont have to do any mix and match, all right there, ready to go fishing.